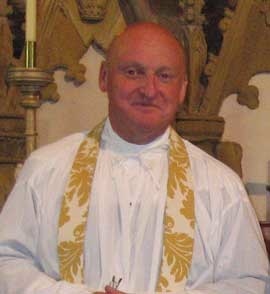 The Trustees of the Kingston Charity Trust (the Bishop of Cork, Cloyne and Ross; the Bishop of Cashel and Ossory; the Bishop of Limerick and Killaloe; the Archdeacon of Cork, Cloyne and Ross; and, Mr J.K. Roberts) are pleased to announce the appointment of the Reverend Michael Thompson as Chaplain of Kingston College, Mitchelstown, County Cork. Kingston College was founded 250 years ago and Michael Thompson will be welcomed as Chaplain on the occasion of the anniversary Service on 1st May. Michael Thompson was born in 1955 and is a native of Armagh where he sang in the cathedral choir and was confirmed by Archbishop George Otto Simms. The influence of that Primate, of Canon Hector Love and of the worshipping life of the cathedral did much to foster his vocation. He was educated at the Royal School, the University of St Andrews, University College Cardiff and the University of Durham and read for Holy Orders at Saint Michael’s College Llandaff. Ordained deacon in 1979 and priest in 1980 by the then Bishop of Llandaff, he served curacies in that diocese and then at Saint Mary Abbots, Kensington in the diocese of London. Having been minor canon and sacrist of Westminster Abbey he held incumbencies in the East of England and here in Ireland. He has been a minor canon of Saint Patrick’s Dublin and of Cork. He describes his ministry as a spiritual journey of faith seeking understanding. He tries to ensure that his preaching is carefully prepared and succinct. ‘Given to hospitality’ he has generally found clerical life, for all its demands and its profound spiritual rewards, can be (and should be) a lot of fun. Michael believes that in our search for God questions can be at least as important as answers and that boundaries are to protect and focus enquiry rather than to establish a grim uniformity or glib orthodoxy. Sacramental in ethos he seeks meaning through sign and gesture, art and wonder as much as through words and definition. Ordering worship in a way which is engaging, traditional and yet accessible, concise and free has been a major part of his work throughout his priestly ministry. Interested in history, music, literature and liturgy he has no pretensions to profound scholarship. He enjoys walking, conversation, entertaining and Burgundy – in both senses! This entry was posted in Appointments, Charities in the Diocese, Diocese, Kingston College. Bookmark the permalink.